Not so long ago, resilient retailers were learning how to compete against Walmart. Today, a new generation of what we call Super Merchants – durable mainstays and sprightly startups – are learning how to successfully compete against Amazon. Here’s who’s getting it right, and how. The latest retail revolution is over and we have the prime mover to thank: Here’s to you, Amazon. 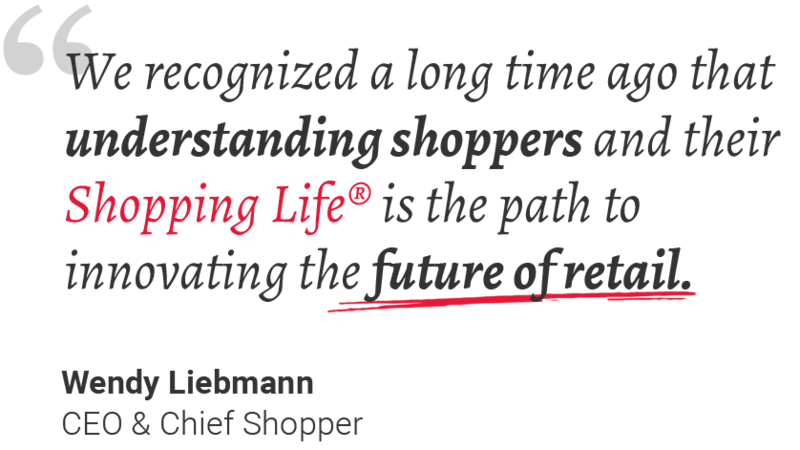 More than 10 years after Aldi, Target and other unyielding merchants elevated retail by finding ways to work around Walmart’s competitive threat, another retail revolution occurred. This time, the driver was the now-omnipresent Amazon. And just like a seismic shift, a new generation of Super Merchants has emerged – smarter, faster and stronger. This one figure – 68 – says it all. That is the percentage of shoppers who still make their weekly shopping trips at physical stores, according to our recent How America Shops® report, “Benchmarking the Future.” That’s not to suggest that Amazon hasn’t made its mark. After all, one-third of shoppers do go online to do some or all of their weekly chores. What the new generation of Super Merchants has come to understand is the shopper is everywhere, and so they’ve followed. They recognize that the physical selling environment still has significant value if it is delivered correctly. Here’s a sampling of retailers in both the physical and online space that are standing the test of Amazon, and how they’re doing it. Dollar General: With an ambitious expansion plan to remodel 1,000 stores and add 900 in 2018, Dollar General is reinforcing its market exposure (75% of the U.S. population lives within 5 miles). At the same time, it’s focused on nailing the shopper experience in those last 10 feet of the trip. With the DG app, shoppers can “cut” coupons and check themselves out, skipping the line. In Nashville, Tennessee, Dollar General opened DGX, a small-format store near Vanderbilt University geared toward Gen Z and Millennial students, with grab-and-run sandwiches, snacks, a coffee station and limited groceries and home décor. Kroger: The nation’s largest traditional food seller is striking back at the Amazon/Whole Foods threat in the grocery and non-grocery aisles. It’s rolling out its own private-label clothing line and is generating more than $1 billion a year in organic produce sales alone. As for technology, it’s offering one-day delivery by robot cars, the ClickList digital pickup service and a “Scan, Bag, Go” self-checkout app. Meantime, independent grocers are catering to the preferences of their immediate markets. Zero Market in Colorado appeals to earth-conscious shoppers by selling products completely free of packaging. Instead, shoppers bring in their own reusable containers (perhaps Amazon boxes?). CVS Health: The drugstore chain is sharpening its wellness superpowers to best Amazon, which is making eyes at the prescription drug market. Most recently, CVS has added a virtual physician service for a fee, called MinuteClinic Video Visits, through which patients with minor illnesses, skin conditions, and small injuries can consult with physicians online, any time. In June, it launched a prescription-delivery service, available in most markets, that will place drug orders at the patient’s doorstep in one or two days. In some urban markets, it will offer same-day delivery. Nordstrom’s traditional rethinking: Nordstrom Local not only puts service before product, service essentially replaces product. It enables commerce by operating as a location where customers pick up or return online orders (blending online with offline), can have clothing tailored or meet with stylists. Online sleep merchant Casper Mattress picked up on this no-inventory idea with the Dreamery, a retreat in the middle of Manhattan where people can take naps (on Casper mattresses, of course). That being said, the goods are never far away – Casper operates a shop next door. Kith, SK-II and other specialty concepts: To offer what Amazon cannot, clever merchants are aligning their offerings to the blue-sky wishes of their shoppers while in the store. In New York, Kith operates on the theme of hyper-curation (an Amazon strength), from its selection of shoes and apparel to ice cream and cereal bars as well as art galleries. By feeding its shoppers literally as well as creatively, Kith gives them more than they banked on. In Tokyo, luxury skincare brand SK-II’s new specialty store features booths that analyze a shopper’s skin; the results are shared on smart mirrors through facial recognition technology. Walmart: Yes, Walmart has maintained its status as Super Merchant, through acquisitions and innovation. In addition to buying niche brands Shoebuy (now Shoes.com), ModCloth and Bonobos, it entered into an online partnership with Lord & Taylor. It added several private label brands, to further stand apart from Amazon, and scaled-up its online presence in home furnishings. Walmart’s also upping its investments in click and collect online ordering, now in 1,800 stores, as well as in delivery and robotics. The result: It posted a 40% increase in e-commerce sales in the second quarter, and Amazon is chasing Walmart in digital grocery pickup. Physical encounters: As our How America Shops® research shows, more than two-thirds of shoppers still shop in physical stores. In addition to being able to touch and smell products, they relish pleasant conversation. But ideally, they want both. Instant gratification: We don’t just mean immediate purchases versus two-day delivery. Retail websites can offer instant gratification when they present their merchandise in ways that inspire the customer. Merchants that offer virtual consultations, like CVS’s video visits, quickly put a tense shopper’s mind at ease. Waste reduction: All of those cardboard boxes and their bubble insulation conflict with many shoppers’ preferences to shop in more earth-friendly ways. Retail will continue to produce Super Merchants, thanks to Super Competitors, and that’s how it should be. The sooner brands stop hand-wringing over Amazon and other giants and find ways to stand on their own, the sooner they can get on with plotting against the next industry instigator.